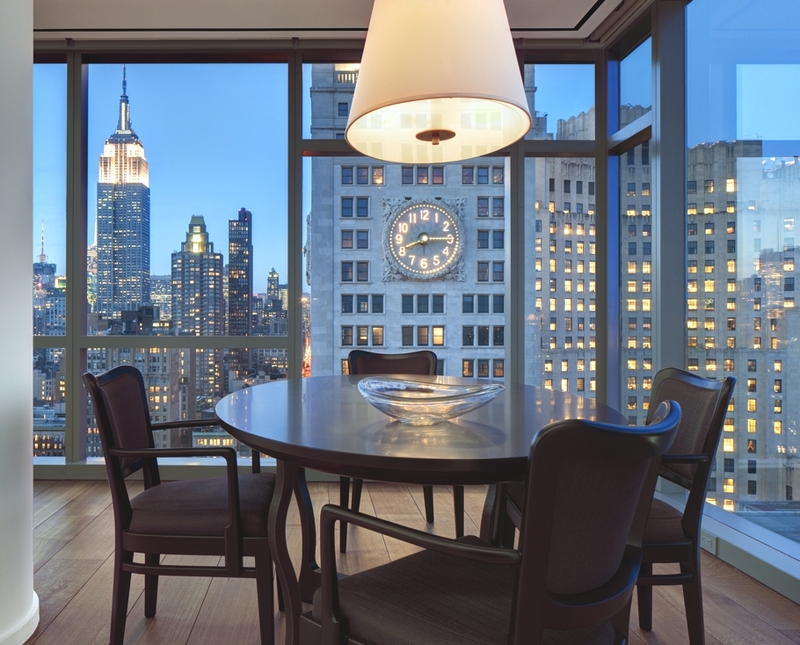 Located on the 32nd floor, this 1,500-square-foot pied-a-terre for a globe-trotting art collector is an elegant haven to recharge and enjoy ever-changing views of the Manhattan skyline while enjoying favourite pieces from his dynamic art collection. “Our design solution reworked the plan to enhance the incredible views and to create museum-quality space to exhibit statement pieces,” says Kikoski. The designer also created a vocabulary of geometrically-pure sculptural forms that have been handcrafted in various sophisticated materials. 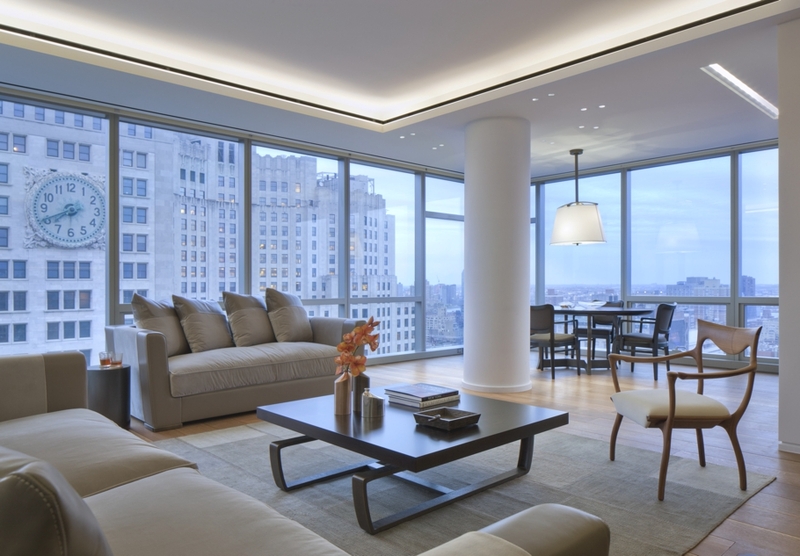 These quietly luxurious custom details in Burmese Teak, Statuary Bronze, Brazilian Marble slabs, wide-plank European Oak floors and exquisite Italian furniture, upholstery and fabrics complement the views and art, allowing them to come forward in the space. 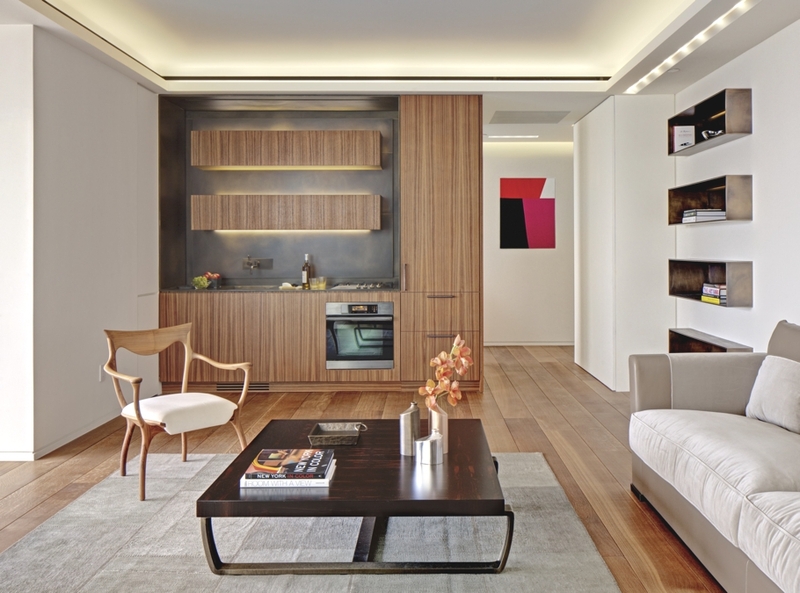 With originality and nuanced consideration invested in each and every element of the design vision, this collector’s chic apartment achieves a unique and contemporary haven of luxury and tranquility. 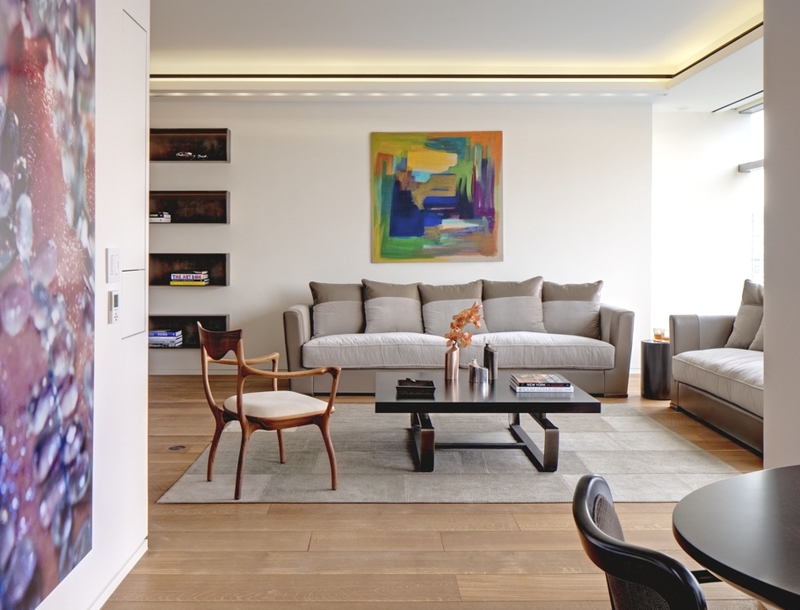 The owner is an international entrepreneur and art collector who is constantly circumnavigating the globe from his home base in Istanbul – so really our biggest challenge was simply finding time to sit down with him. Fortunately, he has a distinct sensibility and we were really compatible conceptually, so we enjoyed a successful collaboration and created an elegant final product! 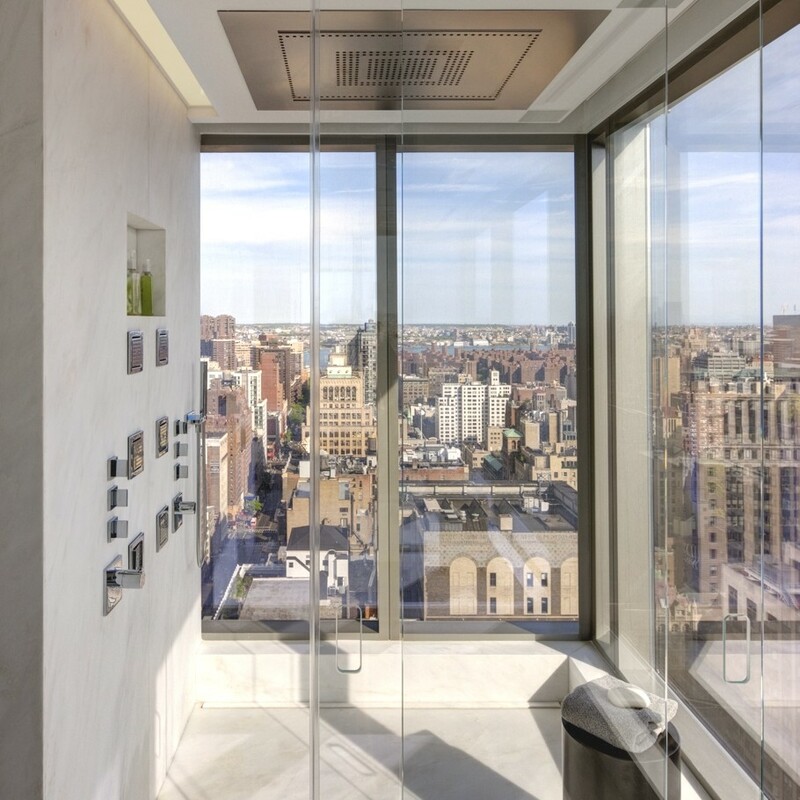 How would you describe the overall design of One Madison Park Residence? 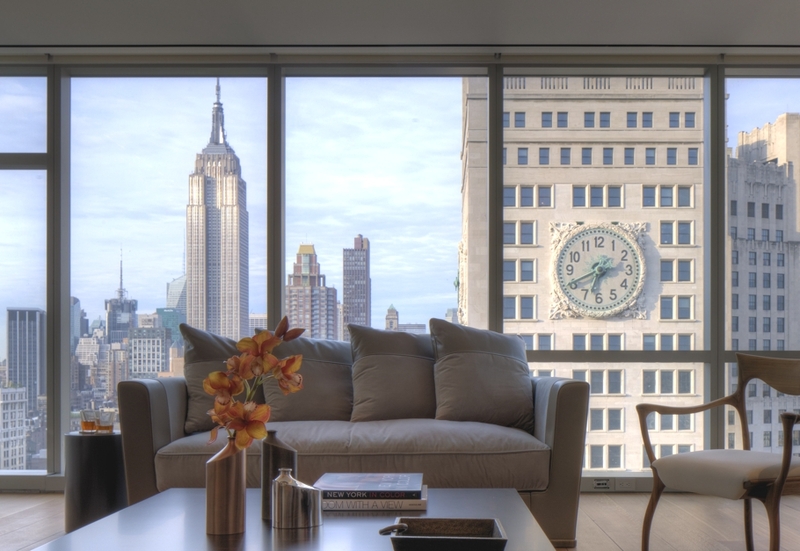 Our goal was to create a luxurious pied-a-terre with a minimal but sumptuous palette that would serve as a backdrop for pieces from the owner’s art collection and the unobstructed panoramic views of the Manhattan skyline. 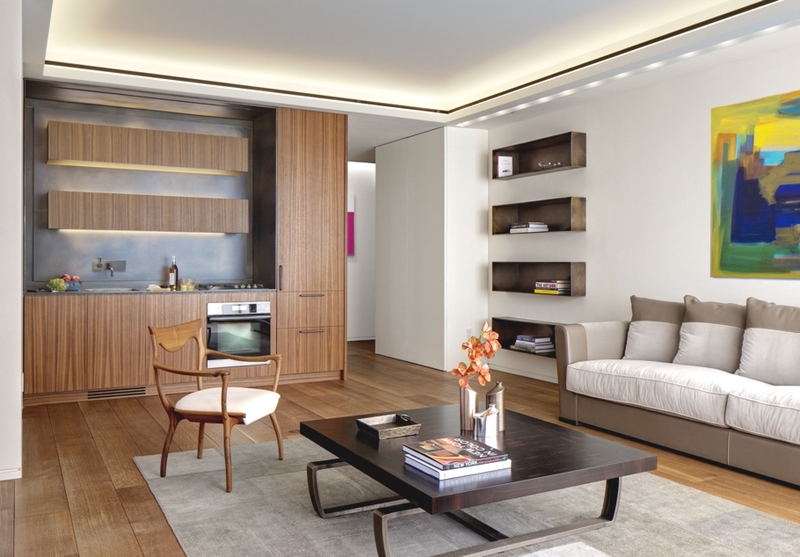 What stands out the most for you in the One Madison Park Residence project? What stands out the most for me are the elegant museum-like qualities of the space, which still feels residential and fresh. 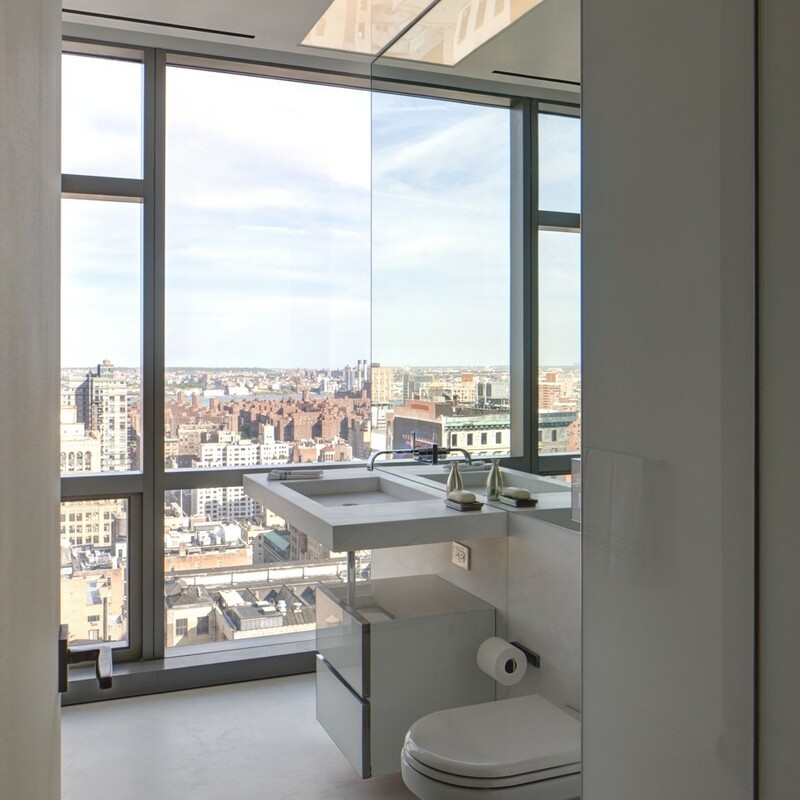 The project also harmoniously blends a sophisticated and nuanced material palette with discrete design elements, truly allowing the owner’s art and phenomenal views to come forward in the space. 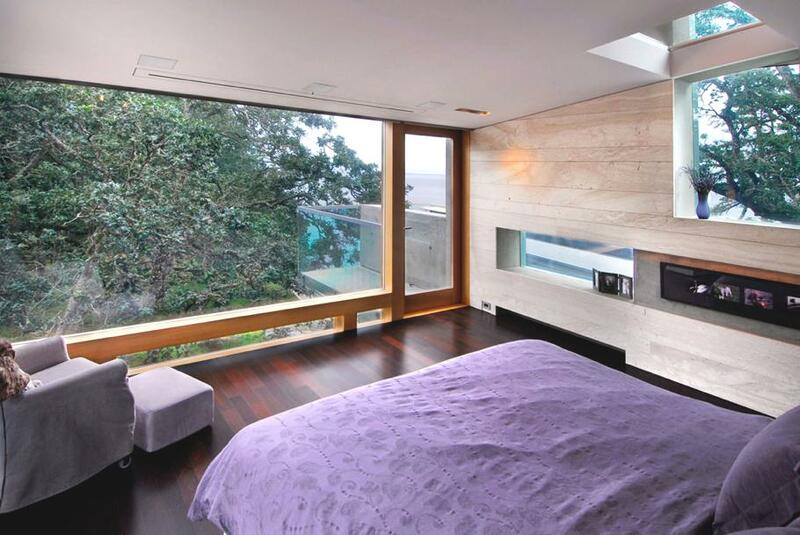 Each of our projects is a unique and custom response to our client’s stated goals. As such, we don’t follow trends in our work. 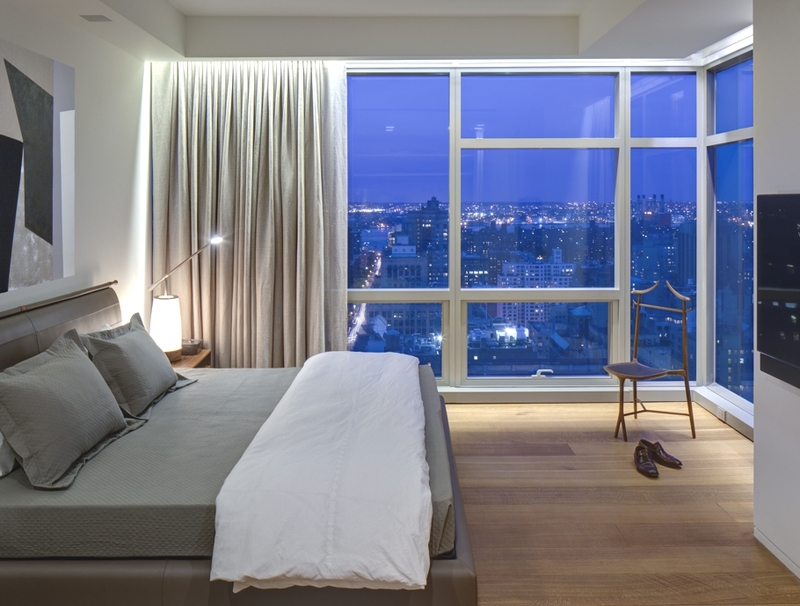 However, there is a super luxurious minimalism in the project that is very of the moment, but given the purity of materials we used and the forms we created, the project achieves a timeless elegance that will stand the test of time. Winchester-based RIBA certified architectural practice, AR Design Studio, has designed the 4 Views project. 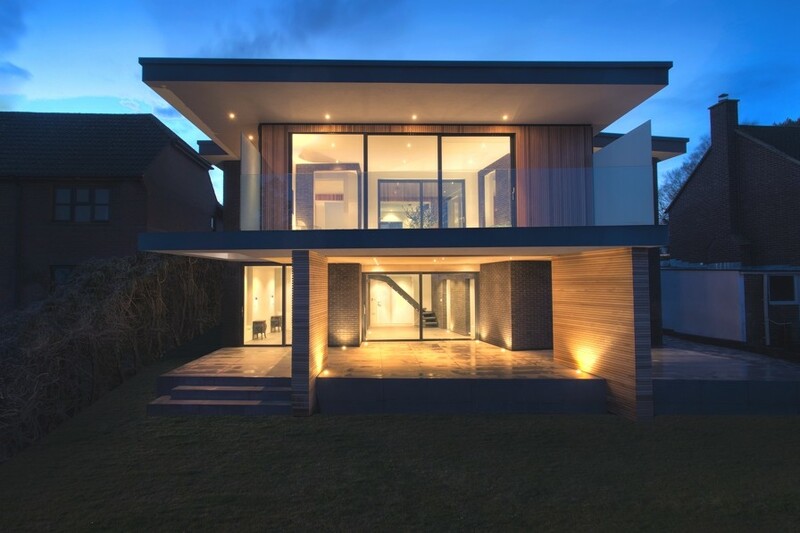 Completed in 2014, the contemporary home is situated in a prominent location overlooking the city of Winchester, England. Marko Simsic Architects a Vancouver-based design studio has designed Swanwick Ranch, a stunning contemporary home in Metchosin in Greater Victoria, British Columbia, Canada. Built in 2006, by Anderson Cove Construction, the 8,300 square foot, eight bedroom, eight bathroom luxury home sits on a 67 acre plot with more than 1,400 feet of low-bank oceanfront.